﻿ Dating a Pisces Man - He's Very Easy Going But Complicated! Are you considering dating a Pisces man? A Pisces man is the most difficult to date as he hides most of his true feelings. 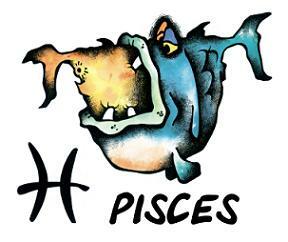 A Pisces man hates stress and restriction and loves anything that is stress free and without a competitive edge. Despite being difficult to date, a Pisces man is a gentle, dreamy, spiritual, easygoing, and an absolutely charming man. If you are involved with a Pisces man, remember that he needs a firm, strong woman to guide him as he can be very indecisive and needs help from a strong person to make decisions. 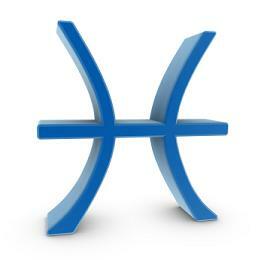 Generally, a Pisces man lets the woman to take the lead in the relationship. So, if you like to mother, nurture, and protect your man all the time, then he is the right person for you. Learn How to Captivate Your Pisces Man! A Pisces man will always protect and cherish his woman and his woman will have a fulfilling romantic partner because Pisces male have an amazing ability for love. A Pisces man loves beautiful and mysterious women and they are extremely imaginative, perceptive, and sensitive lovers who tend to form more of a spiritual bond with their lover. A Pisces man does not like to be confronted with any complicated issues and see the world through the proverbial rose colored glasses. So, now let us see the good and bad points of dating a Pisces man. On your first date, don’t ask the Pisces man lot of questions because he will definitely avoid answering them. However, even if he answers your questions, chances are that you will get even more confused. So, dating a Pisces man is like being part of an unsolved mystery. Captivate Your Pisces Man Today!